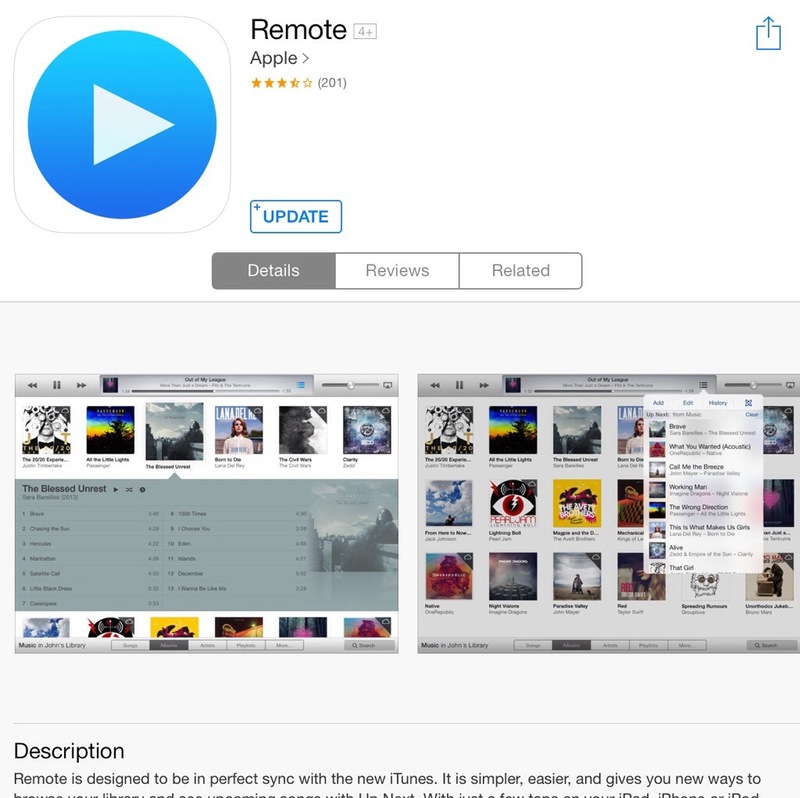 Apple yesterday updated Remote (AppStore.com/Remote), it’s remote app for controlling an iTunes library or Apple TV. Remote has been updated with iOS 7 features, making the new version 4.0 update a major uverhaul. Remote is the latest Apple app to receive a major update (Apple updated podcasts, Find my Friends, iTunes Trailers, and other apps in the past few weeks. Most notably, Apple has not updated iBooks and iTunes U with iOS 7 designs. This leads us to ask, Will Apple update them in the coming weeks or hold an education event similar to it’s January 2012 event? This entry was posted in Apple, iOS, Tech Industry and tagged Apple, iOS, iOS 7, iPad, iPhone, Remote. Bookmark the permalink.